With the expansion of perhaps his most memorable initiative geared toward Africa, Power Africa, President Barack Obama joined his post-Cold War presidents in crafting a staple and precedent setting project to bring much needed relief and assistance, as well as promote sustained development. The goal of Power Africa is to bring access to electricity and energy to millions of people living without such resources in Sub-Saharan Africa. 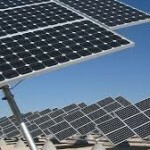 The White House hopes to achieve this ambitious goal by combining efforts from African governments, the private sector and other international partners to unlock the substantial wind, solar, hydropower, natural gas and geothermal resources in the region to enhance energy security, decrease poverty and advance economic growth. The original aim of Power Africa was to generate 10,000 megawatts of electricity-generating capacity. However, at this year’s US-Africa Leaders Summit in Washington D.C., Obama announced that the project’s new aim was to generate at least 30,000 megawatts. In achieving this goal, not only will Obama deliver much needed access to electricity but also further connect millions of Africans to the outside world and to all of its technological advantages. Like his previous two immediate predecessors, Obama adds to his legacy as world leader by striving to lead the way in one of the world’s most devastating and politically complicated areas. In 2000, former U.S. president Bill Clinton spearheaded legislation known as the African Growth and Opportunity Act (AGOA). The primary aim of this legislation was to stimulate economic growth, encourage economic integration and facilitate sub-Saharan Africa’s integration into the global economy. Extending the diverse and mighty U.S. consumer markets to Sub-Sahara Africa has assisted tremendously in promoting strong national economies for countries on the African continent. The AGOA is also unique because it required the president to determine annually whether sub-Saharan African countries [were] eligible for AGOA benefits based on progress in meeting certain criteria, including progress toward the establishment of a market-based economy, rule of law, economic policies to reduce poverty, protection of internationally recognized worker rights and efforts to combat corruption. The AGOA is notable in U.S.-Africa relations because it marked one of the first significant steps toward advancing a relationship predicated on shared interests since the Cold War abruptly ended in 1989. Not only did the AGOA greatly assist in lifting millions of Africans out of poverty, but it also increased two-way trade with Sub-Sahara Africa, which also played a prominent role in adding to the multi-year surpluses the U.S. economy enjoyed through most of Clinton’s tenure in office. The AGOA also helped to stimulate interest in Africa from other industrialized states. Not wanting to miss certain opportunities, or to cede any economic advantages, other states such as China and India stepped-up their own economic arrangements with different African governments scattered across the continent. Building upon this much heralded example set by Clinton, former president George W. Bush went even further in addressing issues on the African continent from his position in the White House. In 2003, Bush embarked on a five-year plan to fight HIV, AIDS and other diseases on a global scale through the Emergency Plan for AIDS Relief (PEPFAR). With this project, Bush thrust the U.S. to the helm of countries seeking to fight these diseases. Ultimately, his efforts proved to be the boldest and most ambitious of any national leader in combating the global pandemic in history. PEPFAR was extended when Congress enacted the “Tom Lantos and Henry J. Hyde United States Global Leadership Against HIV/AIDS, Tuberculosis, and Malaria Reauthorization Act of 2008,” authorizing $48 billion for HIV, AIDS, tuberculosis and malaria programs from FY 2009 through FY 2013. This landmark legislation also called for the establishment of the Office of the Global AIDS Coordinator (OGAC) within the U.S. Department of State. This office was created to oversee and coordinate all “bilateral HIV/AIDS activities and funding.” The OGAC centrally manages PEPFAR and its activities in conjunction with other U.S. government agencies. Different U.S. government agency offices and embassies worldwide also implement PEPFAR activities. By increasing the standards and ambitions of Power Africa, Obama continues the trend set by post-Cold War U.S. presidents of prioritizing sustained socio-economic and political development assistance to Africa. Another project that has received great attention from almost every president in recent memory is the Middle East peace process. Obama’s ambitious project does not come without its critics however. Power Africa does enjoy some support in Congress, but whether this support will be enough when the institution as a whole deliberates over funding for various aspects of the program, is still rather unclear. Questions also remain about how the program will ultimately be monitored and how performance will be tracked and measured. Because of Africa’s many problems surrounding governance and public management, people are still unclear as to how the president plans to devise and implement measures of accountability. One thing is clear however. If successful, Power Africa could bring electricity to over 600 million people in Sub-Saharan Africa. Let’s hope that at the end of this tunnel, there will be plenty of light for those in need. Author: Antwain T. Leach, MPA, is president of the Center for Strategic Affairs and Public Diplomacy, a think tank that provides management consulting services to political organizations, social campaigns, as well as to nonprofit organizations. His scholarly research focuses on Congress and its relationship to the conduct and formation of U.S. foreign policy. His research interests also include analyzing bureaucratic agencies, regulatory politics, as well as government & business relations. He was previously employed as a congressional aide in the office of former congressman Bart Gordon, where he worked on public administration issues. You can reach Mr. Leach at [email protected].